AIB All-IRELAND senior club camogie champions Milford kept their hopes of a two-in-a-row alive today as they get set to face Galway’s Ardrahan in the decider. Cork outfit Milford edged a very tight semi-final encounter today with Eoghan Rua at Donaghmore Ashbourne by 1-10 to 0-8. The Derry champions will rue a host of spurned opportunities, as they had plenty of possession but just could not translate that into scores. Even late on, the normally clinical Grace McMullan and Katie Mullan had goal chances that would have made it very interesting had they been availed of. The Milford full-back line of Katie Galvin, Maria Walsh and Lisa Healy were outstanding however, and with Ashling Thompson giving a player-of-the-match performance, and Rebels football star Deirdre O’Reilly, Marie O’Neill and Maria Watson getting the key scores, it was the Cork representatives that prevailed. They led by 1-2 to 0-0 early on, with the dangerous Watson bundling the sliotar to the net, but Eoghan Rua settled down and Gráinne McGoldrick slotted four points to have them trailing by just four – 1-5 to 0-4 – at half time. Three of McGoldrick’s scores came from placed balls and in all, she finished with seven points, six of which came from frees. Mullan’s late point was the Coleraine crew’s only other score from play. Watson came deeper as Milford faced into the wind in the second half and the tactic worked well as despite giving up plenty of possession, the champions outscored their opponents again, despite missing a number of frees. They will play Ardrahan in the final, after the Galway champions produced a brilliant second-half performance to beat Mullinavat 2-8 to 0-8 at Moneygall. It wasn’t looking good for Ardrahan early on, as Mullinavat scored six points on the trot to lead by five. Crucially though, Ardrahan managed not steady the ship and came back with three points of their own and were still in contention at the interval, trailing by 0-7 to 0-4. When player of the match, Rebecca Hennelly buried a penalty, after Edel Holland was taken down in the square, the sides were level and the westerners never looked back. Mullinavat only scored one point in the latter period, via Elaine Aylward, and Keelin O’Shaughnessy’s goal confirmed the verdict. In the one intermediate semi-final that survived the weather, Ballyhale Shamrocks defeated Portumna by 2-3 to 0-7. Email “Milford and Ardrahan qualify for the All-Ireland senior camogie club final”. 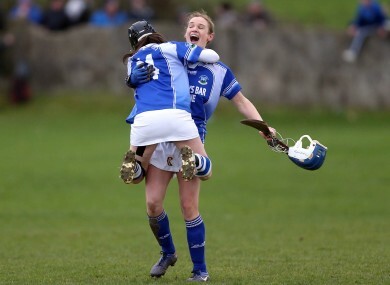 Feedback on “Milford and Ardrahan qualify for the All-Ireland senior camogie club final”.